Meet Megan! Beautiful Megan came to us with her 3 kittens when a fox was nearing the wood pile they were living in. She is very sweet and interested in people, but oh so shy. We think she was abandoned. 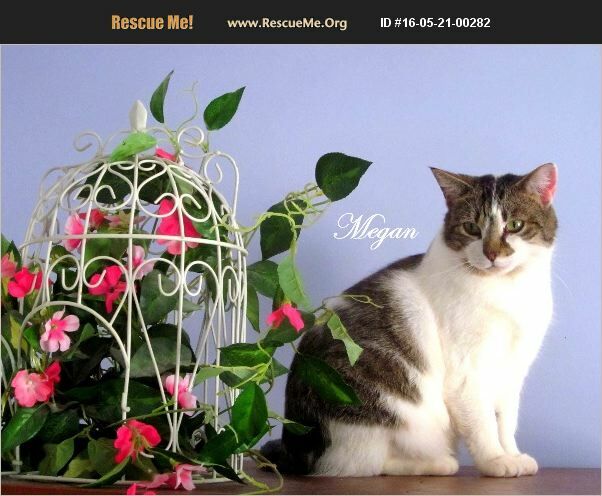 Megan rates a 7-8 on a 1-10 scale with 10 being a purrfect housecat. She needs a quiet, low activity home with either older kids or no kids at all. Indoor only cat. Email Lynn at GoodMews22@aol.com if interested.